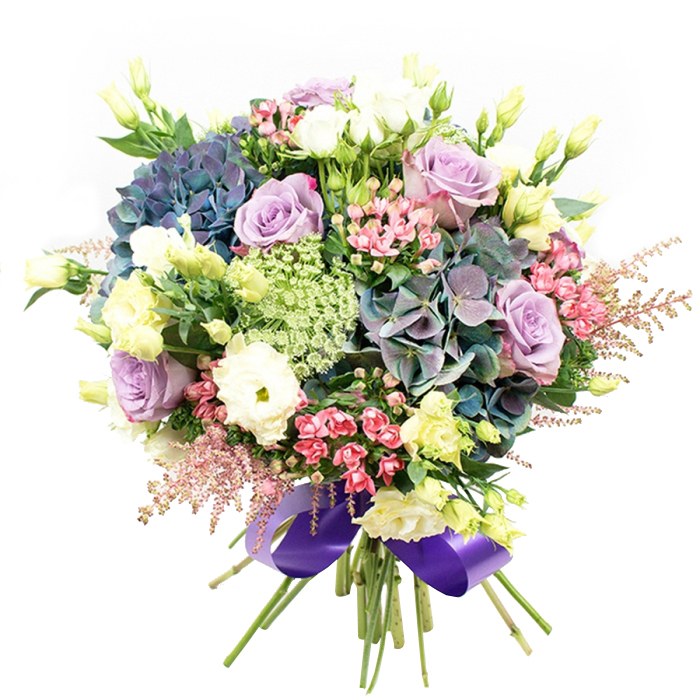 This wonderful arrangement is bursting with blue hydrangeas, light purple roses, green lisianthus, white spray roses, ammi visnaga, pink bouvardia and pink astilbe to create a magical combination that will make a great impression! A very stylish gift that you can send to your family and friends! I chose this bouquet because I liked the colours, and it's the best choice I made cos the whole family love it too. My experience with this flower company was great. 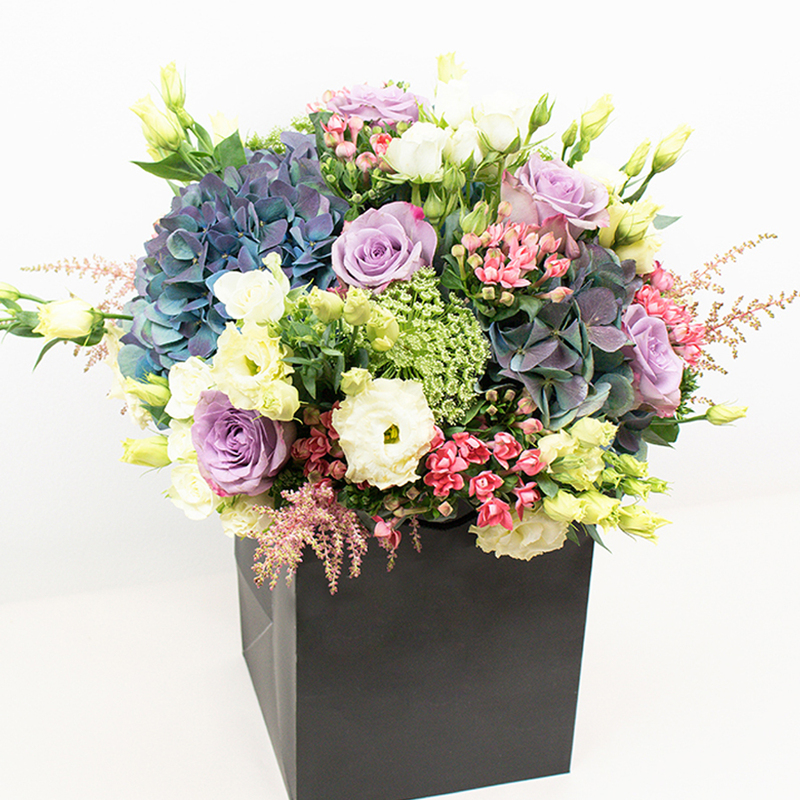 Beautiful flowers combined in lovely arrangements. The recipient in Wembley was also very pleased. Beautiful! No other words to explain this bouquet! My mom loved the bouquet. Perfect service from this flower delivery company! I can't explain how wonderful this bouquet looks! It's just fascinating, thank you, thank you, thank you!!!! Provided the most amazing flower bouquet. Really appreciated this company's help and dedication. My mother enjoyed your bouquet very much! Good job! Beautiful flowers. I've never received anything quite as pretty as that. The delivery was made in a convenient time for me. What an amazing bouquet! Totally worth the money! The flowers in the arrangement complemented each other perfectly. Delivery was superfast and quite cheap as well. Would use again. The combination of flowers was just perfect – looked very sophisticated. Will gladly order from this online shop again. The flowers were presented in a stunning way! They were all freshly cut and the delivery was right at the specified time too. Impressive service!